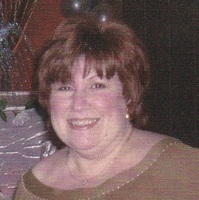 Provide comfort for the family of Carmen DeSimone with a meaningful gesture of sympathy. 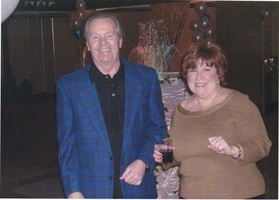 Carmen Anne DeSimone Watson, age 69 passed away peacefully on March 9, 2019 after a brief illness. Carmen joins the light of her life, her husband Ronnie for their eternal life together. She was Director of Religious Education at the Epiphany parish/school in NYC for the last decade. Carmen was a passionate educator and loved watching all of her ‘children’ grow into caring, successful young adults. Prior to serving the Epiphany parish with religious education and coordinating sacramental programs, Carmen also had a long career as a Vice President with Merrill-Lynch. Carmen and Ronnie were quintessential New Yorkers both having been born and raised in the city. They loved travel, seeing shows and experiencing all that their city had to offer. They truly enjoyed life to it’s fullest together. She is survived by her mother Anne DeSimone, her loving niece Allison LaTesta Ruecksties, Allison’s husband Ron and their children Mia and Megan, her nephew Anthony LaTesta, Anthony’s wife Lindsey, and their children JJ, Rose, and Luca. Carmen is also survived by her step-daughter Rose Mary Taccetta, her spouse Anthony, and their daughters Genevieve, Alicia and Caitlin. 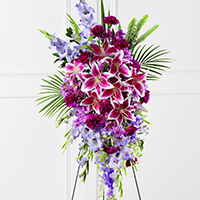 Consider providing a gift of comfort for the family of Carmen DeSimone by sending flowers. I went to college with Carmen. She was a genuinely good person and a true New Yawker. Her heritage and her family's importance were reflected in her daily life. May she rest in peace. The Epiphany community was so blessed by our beloved "Mrs. Desimone". She was kind, caring and devout. She was a true gift to the parish and to all our children. I will miss seeing her but I know she is now home with her love Ronnie, where she wanted to be. Rest in peace, Carmen. The sun, the moon, the wind, the stars, will forever be around, reminding us of the love we all shared, and the peace she’s finally found. Rose Mary, Anthony, Genevieve, Alicia & Caitlin purchased the The FTD Tender Touch Standing Spray for the family of Carmen DeSimone.